Video gaming is making a triumphant return across the United States this year. After the industry massively crashed and burned in 1984, it seemed that video games were a fad. Stores were left with piles of unsold game cartridges and consoles, taking huge losses to clear the excess inventory. That’s why it’s been interesting to see Nintendo, the Japanese arcade maker with hits like Donkey Kong and Mario Bros., enter the home video gaming industry when it’s been all but dead. It’s been taking it nice and slow with a test market run in New York last fall and this past spring in Los Angeles. Now, Nintendo is expanding its reach nationwide, with major metropolitan areas around the country beginning to carry its new Nintendo Entertainment System (NES). With quality games and the right marketing, perhaps the NES can be a success in a market where everyone else have all but died out? 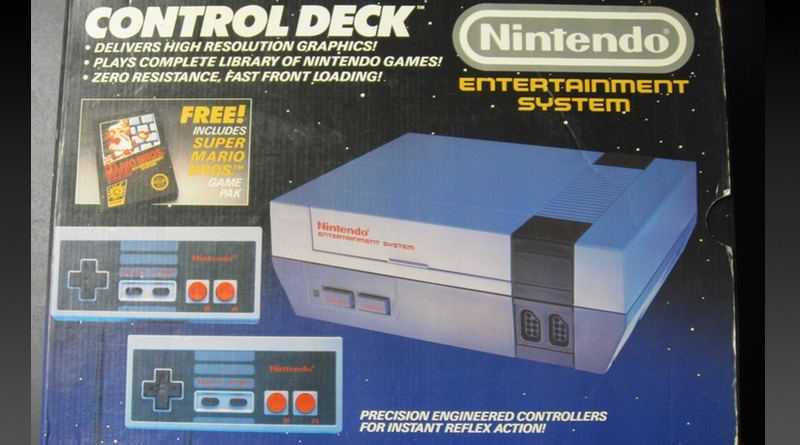 The NES Control Deck retails for $99, but some retailer have sold it for as low as $79. Super Mario Bros. is free! Nintendo isn’t alone in trying to revitalize the video game market. Sega has announced plans to sell its Sega Master System starting this fall across the nation. It’s supposed to have even better graphics with more memory. Plus, there’s still Atari with its aged Atari 2600 and its new 7800. While its name is instantly recognizable, that brings with it all of the baggage of the past few years, leaving uncertainty in many peoples’ minds. So, the real battlefield takes place this Christmas shopping season. Will consumers give video games a second chance, or are they done with them altogether? Computer sales have been on the rise and do much more than a dedicated gaming machine. Then again, the costs of a computer are often at least five times greater once you factor in the monitor, the disk drive, and the printer into the equation. With the NES selling for under $150 for the Deluxe Set and $89 for the Control Deck (packed in with the amazing Super Mario Bros.), perhaps this will help home gaming get a foothold once again. With powerful home computers now selling for less than $500, you`d expect the glory days of dedicated video game machines to be so much ancient history. Who, after all, would want a device that can only play games when for a little more money you can have the versatility of a general purpose computer? We`ll have the answer to that question by Christmas, when seasonal sales figures are computed for two innovative game machines being introduced nationally this year. The first is the Nintendo Entertainment System, which is already available in retail stores. The other is the Sega Master System, which makes its debut later this summer. 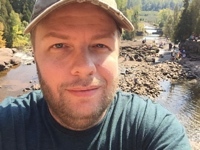 Whether this new wave of video game machines turns out to be a last hurrah or a second coming remains to be seen, but there`s already evidence that reports of the dedicated machine`s death may have been greatly exaggerated. Take the case of the Atari 2600, which invaded America just five years ago and in the process launched a new national symbol: the profile of Pac Man. Atari reports that it sold more than a million units of that game system just last year. An improved and significantly downsized version of the 2600 is available now for less than $50. Atari is meanwhile introducing an upgraded version of its 7800 game machine. The 7800 ProSystem plays Atari 2600 games as well as its own more advanced games, and it comes with a redesigned console, a Pole Position II game cartridge and two comfortable, hand-held controllers with buttons positioned conveniently for right- or left-handers. The complete system is expected to retail for less than $80, less than a third of what the original 2600 cost. Other 7800 game cartridges to appear later this summer will come with one “megabit” of memory, allowing for more sophisticated action. Among the new titles for the 7800 are several games formerly available only on home computers, including One-on-One Basketball (Electronic Arts), Chop Lifter (Broderbund) and Gato, a submarine warfare simulation (Spectrum Holobyte). Suggested retail price of these games will be $15. At about the same time those titles are hitting the racks, Sega will be coming on board with an even more ambitious system featuring sophisticated control pads, a sleek system unit and a “light phaser,” a pistol-like device that you`ll be able to use to zap targets on your screen. Their system will retail for about $150. According to a company spokesperson, about 25 games will be available initially for the Master System. Some will be produced in the familiar cartridge format, but Sega is also pioneering a new software card, only a little larger than a credit card, but packing 256K of memory. The cards will be inserted into an extra slot in the main unit. By the time Atari and Sega roll out their new systems, though, the lion`s share of the market may have already fallen to Nintendo`s hot new dedicated machine, the Nintendo Entertainment System. In Japan, Nintendo already has 90 percent of the game machine market, Sega only 10 percent. Last year, more than 2 million Nintendo machines were sold in Japan. Although the Nintendo has been rolled out nationally in the states just this summer, it has already firmly established itself in New York and Los Angeles, which served successfully as test markets last year. More than 200,000 units were sold there. Now you`ll find the “deluxe system” in such discount outlets as Venture and Montgomery Ward for less than $150. And for that price, you get quite a system: a compact and lightweight console that`s easy to hook up to a TV; two hand-held controllers with a good, responsive feel; a light-sensing gun accurate up to 15 feet; and two free game cartridges, including Duck Hunt, which uses the light gun, and Gyromite, which uses R.O.B., the Nintendo robot. R.O.B. stands for Robotic Operating Buddy, a foot-high battery-powered robot (five batteries not included) that operates at your command when you play Gyromite or Stack-Up, a cartridge game sold separately. In both games, the robot becomes an integral part of the action, requiring you to deftly shift your attention between the video screen and R.O.B. If robots aren`t your style, and if you can do without the light gun, Nintendo offers a streamlined version of the system that includes only the control deck, game controllers and a Super Mario Bros. game cartridge. The package lists at $99, but the discounted price should be closer to $75, making this an excellent buy in the home entertainment area. Of course, with any dedicated game machine, the play is the thing, and on the Nintendo the play is terrific. You often see the phrase “arcade-like action” in game reviews, but the Nintendo really does offer arcade quality. The graphics, sound and playability are superb throughout the Nintendo line. The 25 or so game cartridges fall into several categories: In addition to the Robot Series and the Light Gun Series, there are the Sports Series, the Action Series and the Programmable Series (which allows you to modify existing games). An Arcade Classics line–featuring such golden oldies as Donkey Kong–will be available in fall. Each cartridge retails for $20-$30. The game making the biggest splash both here and abroad is Super Mario Bros., an action game with clever and imaginative sounds and sights. You control either Mario or Luigi–the old heroes from Donkey Kong–on a journey through bizarre worlds to rescue a princess. Along the way, you must discover scores of secret places in the weird world of the Mario brothers. Indeed, the best-selling book in all of Japan last year was “How to Master Super Mario Bros.,” a guidebook to those secret places. The subject of the seventh best-selling book was also the Mario Bros. game. Our guess is that a sizable American audience is already hoping for some speedy English translations. As for the other Nintendo action games, we could live without Kung-Fu, with its routine headbashing, but Ice Climber (a peak-scaling game) and Clu Clu Land (a whimsical maze adventure) kept our interest after repeated plays. Likewise, Nintendo’s sports games, with the exception of the disappointing Baseball, are major hits. Tennis is an uncannily accurate re-creation of a doubles or singles match, offering five levels of opponents. A nice touch is that if two play, they are partners, not opponents. The golf cartridge is less of a simulation, but the zany holes will confound and amuse all duffers. To get in on the fun, look for the Nintendo at discount houses such as Montgomery Ward or Venture, or at F.A.O. Schwarz in Water Tower Place. For more information about the game machine, call Nintendo at 206-882-2040. I think that the video game console market looks more interesting than ever. The market is slowly recovering from the crash of 1983 and the success of Nintendo proves that there is still a demand for a high quality video gaming. Just three years ago everyone thought that video gaming is dead (at least on consoles), but now Sega is joining and Atari is re-entering the market. This is going to be a very interesting rivalry, especially because I think that there is a dark horse in this race: Commodore. I know, they haven’t announced any video game console yet, but I think that if video game consoles take off again they will release their own console to get a slice of the cake. We all know how Commodore works: when they see a cake, they want a slice. This christmas will be about the Nintendo Entertainment System versus the Sega Master System. The Atari 7800 will be mostly ignored, because no one trusts Atari anymore. Next year (1987) Commodore will be announcing a console based on the Commodore 64: the C=64 already has a cartridge slot, so I think it will be mostly the same as the home computer just without the keyboard. This will make very easy for developers to convert their computer games to the Commodore Console. The Commodore Console will be released just in time for Christmas 1987. In 1988 Atari will realize that no one is buying their Atari 7800. In a last desperate attempt to win back the market they might try to get ahead of the others and announce a console based on the technology of the Atari ST home computer. The hardware of the Atari ST console will be more powerful than any of the current consoles thanks to the 16 bit CPU (Motorola 68000), but it will be expensive and most games will be just poor ports of the home computer games and quick cash grabs so the market will ignore it once again. 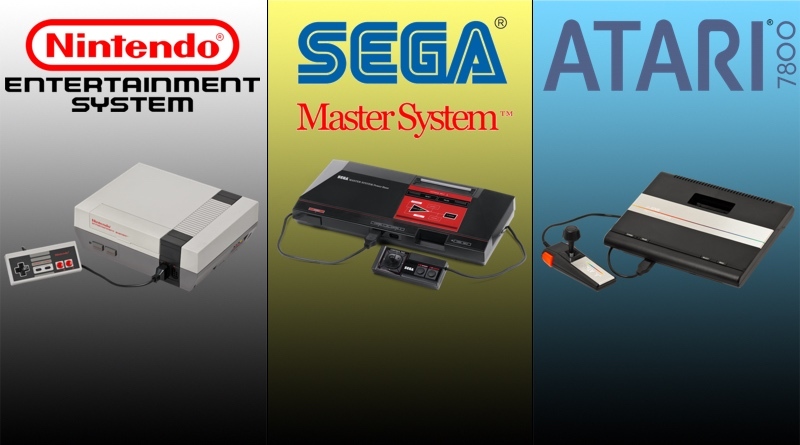 In five years, Atari will be out of the race, and it will be a rivalry between Nintendo, Sega and Commodore. Nintendo will have their own, unique games like Super Mario Bros., Sega the arcade ports like Hang-On and Commodore the home computer ports like Elite. You make some very good points. I agree with you about Atari. The problem with them is two-fold. First, they have a public perception issue, and second I don’t think they have their act together with distribution of their systems and games. They are acting like a company on life support instead of a thriving newcomer, like Sega and Nintendo. The Commodore angle does make sense as well. I play lots of games on my C64, and I could see them trying to enter the home console market. I think it will depend on whether or not Nintendo and Sega show there’s a revitalized gaming sector or not. If there’s an uptick in gaming sales, then it might make sense for them to jump in as they’ve shown they are quite able to grab marketshare rather quickly.